A new study published in the journal Environmental Health Perspectives has revealed that women live longer in areas where they are surrounded by lush green vegetation. The study, which was funded by the National Institute of Environmental Health Sciences (NIEHS), part of the National Institutes of Health, says women with high levels of vegetation – plants, herbs, vegetables – around them have a 12% lower death rate than those who have lower levels of vegetation around them. This lower death rates includes deaths from kidney disease, respiratory diseases, even cancer. More vegetation means healthier eating and less air pollution, as well as the physical activity of gardening. It also seems to have a positive impact on mental health. "It is important to know that trees and plants provide health benefits in our communities, as well as beauty," said NIEHS director Linda Birnbaum, Ph.D. in a release. "The finding of reduced mortality suggests that vegetation may be important to health in a broad range of ways." Scientists at Harvard T.H. Chan School of Public Health and Brigham and Women’s Hospital in Boston, who researched the greenery around the homes of over 108,630 women over an 8-year period, conducted the study. The scientists discovered a decrease in mortality rate as the rate of vegetation increased. Horticulturists agree the benefits of that window garden can be limitless. “As far as the study goes, there’s actually a ton of things that play into why plants would reduce would reduce the risk of death,” says horticulturalist Mason Day, Co-Founder of GrowIt! (http://www.growitmobile.com/), a social media community for plant lovers. “However from this study it’s clear that the main impact is through the benefits they provide as a natural air filter... They help negate harmful effects from compounds like formaldehyde and carbon monoxide. For years we thought it was the leaves doing all of the work, but it’s not necessarily the whole story. You’re going to get added benefit no matter what, but it will help if you load up the hotspot air contaminant areas with plants. Especially keeping plants in your bedroom. This helps with all of the breathing you do at night,” says Day. 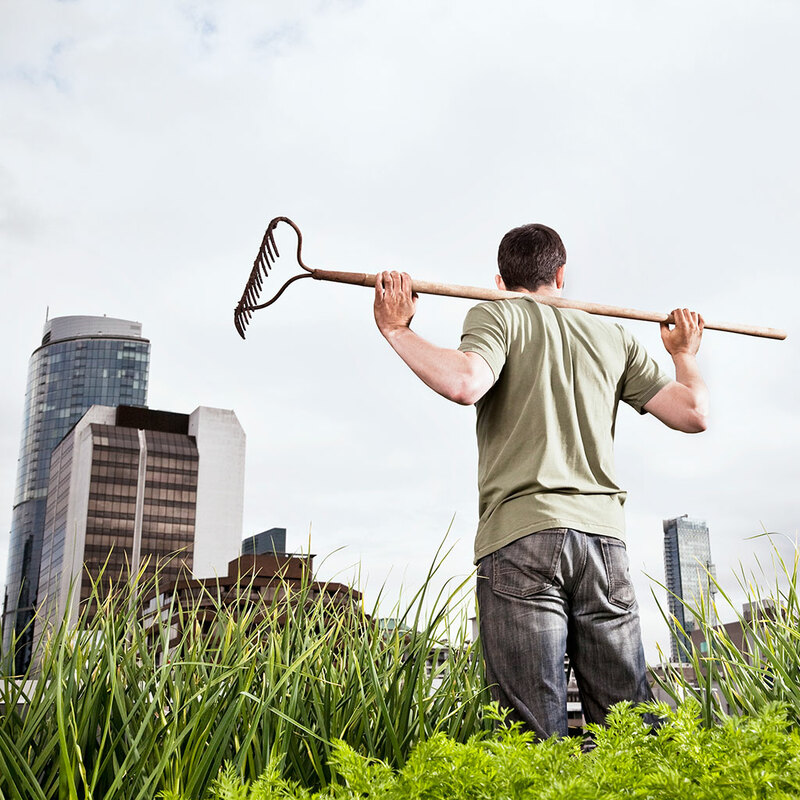 Related: IS URBAN FARMING SAFE? Another thing to remember, Day says, is to keep the air circulating around your plants so that you’re getting the full benefit of filtering all of the air in your areas. To gain root benefits look for more porous containers with lighter soil. There is also the aspect of healthier/cleaner eating. “Houses that use more fresh herbs in their cooking use fewer sauces in their cooking. Many sauces can be laden with high fructose corn syrup, and other sweeteners. Herbs provide the same pack of flavor without the sugar and preservatives. And can make your home smell better It takes very little effort to keep rosemary and lavender alive on a sunny windowsill,” says Day. Plants also help to reduce stress. “They help add a natural feel to our homes that we often neglect. To take full advantage, find plants that break up monotony with many colors or patterns,” says Day. Maybe it’s time to get started on that spring herb garden. Fresh cilantro from window for our next Taco Tuesday won’t only taste awesome, it just may keep us alive longer.